The writer/director/producer of Nocturnal Animals is interviewed as a part of the Times' study of filmmaking auteurs. "It was the toughest scene to write. The toughest scene to shoot. And the toughest scene to edit," Tom Ford. A segment of the scene in question: "No Signal Here". 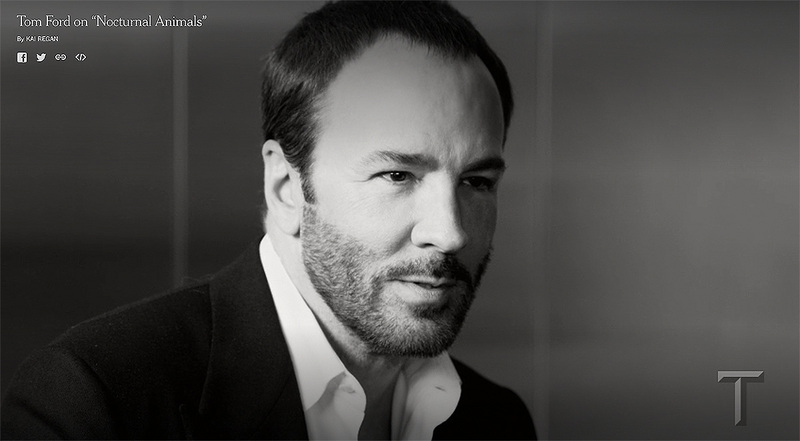 The full interview with Tom Ford can be viewed at The New York Times.